When Should You Work with a Personal Injury Attorney? If you’ve been injured due to negligence in an auto accident, product defects, premise defects, or any other case where someone else’s negligence resulted in your injury, you may be a candidate. It is your legal right to recover fair compensation for all injuries and damages. It is usually good idea to consult with an attorney if your injuries were severe, resulting in expensive medical bills, lost wages, or other damages. Your case’s value is determined by the extent of your injuries. 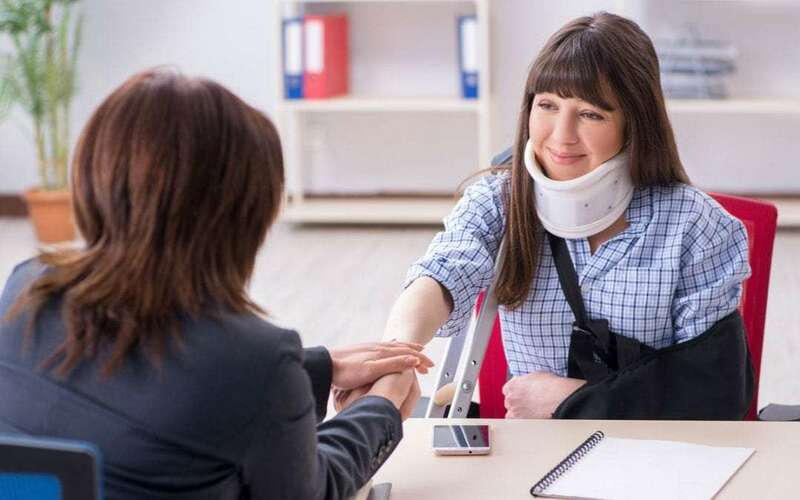 An experienced personal injury attorney can help you recover these damages and work with insurance companies on your behalf. It is especially important to consult a personal injury attorney if your injuries will impact your future earnings and quality of life. Most attorneys don’t charge upfront for personal injury cases, instead they take a percentage of any settlement money, or a percentage of money awarded if the case goes to court. For this reason, a good attorney will only take your case if they believe there is a high likelihood of a good outcome. It is also important to hire an attorney if your case is complicated and liability is unclear. This often happens when there are multiple parties involved in a case, or insurance companies are involved. For some, it is tempting to handle the case on your own. This is almost always a bad idea if there were severe injuries or if there are insurance companies involved. In these cases, even after paying your attorney’s fees, you are almost always going to come away with more compensation than if you handled the case yourself. If there are no injuries or extremely minor injuries, you will generally be better off handling the case yourself and working with the other party and/or insurance company. When you consult with a personal injury attorney, they will review the details of your case and see if they think you are a candidate for legal action. A good attorney will only take on cases that they believe are strong, and likely to result in a positive outcome. Your attorney will monitor your treatment, collecting documentation from your doctors, physical therapists, and other medical service providers. Once your treatment is over, they will compile your medical records and other documents to determine the value of your case. Your attorney will use this information to compose a settlement demand letter to the party or parties responsible (or their representative insurance company). The letter will detail damages in the form of medical bills, lost wages, damage to property, and emotional pain and suffering, give supporting documentation, and detail a total dollar amount demanded. From here, the settlement demand will either be declined (or ignored), or negotiations will begin. Your personal injury attorney will handle negotiations, under your direction. If the demand is ignored, declined, or if a mutually satisfactory settlement amount is not arrived at, the case may proceed to court. If your case proceeds to court, your attorney will prepare your case and represent you throughout the proceedings. Personal injury claims can usually be made anytime within a few years of the injury taking place. However, it is best to consult with an attorney immediately to determine your best course of action. In personal injury claims it is especially important to find an attorney with considerable experience in similar cases. Here is a resource we’ve put together to help you find the best attorney to handle your case. Anderson Hunter is the largest private law firm in Everett and Snohomish County with 16 practicing attorneys. We are proud to offer high-quality legal services at a fair price. We are committed to providing you with the best legal representation available. Our personal injury specialists are John “Jack” A. Follis and Nicole Franklin. They bring decades of personal injury experience and are dedicated to helping you achieve a fair outcome.